ADOX, the world’s oldest photographic materials manufacturer, has announced a new monochrome film called HR-50 that will be available in 35mm, 120, and 4×5 formats. The ADOX brand has been on photochemical products since 1860, making it the oldest brand that’s still around today. And the company wants to ensure that film photography doesn’t go anywhere. 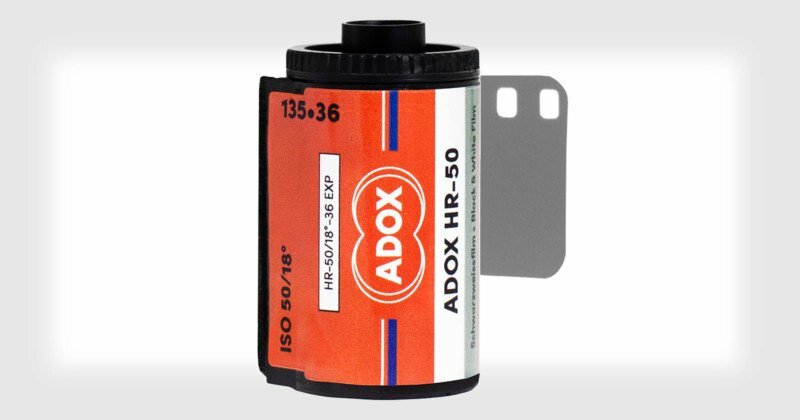 ADOX says HR-50 was originally a high-resolution film that was used for technical applications. By making modifications to give the film “Speed Boost” technology, the company has converted it into a usable film for ordinary photography. The sensitivity of the film has been increased to 50 ISO and contrast has been reduced so that the film can be processed using ordinary developers. The grain of the film is “ultrafine,” and it’s sensitive to all wavelengths of visible light. “The HR-50 is ideal for cityscapes or travel photography,” ADOX writes. There’s also a new ADOX filter that can be used to shoot infrared photography with the film. For portraiture, ADOX recommends a special developer called HR-50 DEV that it designed specifically for the film. No word yet on when or where ADOX HR-50 will be available or how much it will cost when it is.